Have you notices that on most websites are listed all of world’s healthiest fruits but no fruit juices are specifically mentioned as the preferred form for healthy eating. The reason for this is simple: regardless of the fruit and the method used for juicing, the most intact and diverse collection of nutrients comes through the whole fruits. The skins of healthiest fruits such as blueberries, apples, figs, apricots, pears, grapes, prunes, plums, raspberries, raisins and strawberries – are all sites of important biological activity in the life of the fruit. The skin is the place where the fruit interacts with light, and forms a variety of colored pigments that absorb different wavelengths of light. These pigments, including flavonoids and carotenoids are well researched to be nutrients protecting nourishment and health. The skins of whole fruits like grapes actually have ability to help provide protection from ultraviolet light and help lower risk of cancer. Unfortunately, when fruits are juiced, it is not always possible to enjoy the skin. That is because many juicing processes remove the skin, and do not allow for skin’s benefits to get into the juice. In addition to the skin, which is a main source of fiber, the pulpy part of the fruit is also contains fiber and other nutrients as well. Orange juice is a good example of the health benefits of pulp. The white pulpy part of the orange is important source of its flavonoids. The juicy colored sections of the orange contain most of its vitamin C. In the body, vitamin C and flavonoids work together and support health through their co working. If the pulpy white part of the orange is removed during making orange juice, the flavonoids will lost during the process. This loss is one of the many reasons for eating the orange in its whole food form even if you only end up eating a little bit of the white pulpy part. Although many commercial products claim to have added pulp on their labels, many are not even the original pulp and it is highly unlikely to be added back in the amount removed. Do you know how much fiber is lost in the conversion from whole fruit to fruit juice? A cup of apple juice with removed pulp contains no measurable amount of fiber. To create eight-ounce glass of juice, approximately 4 apples are needed. They contain about 12-15 grams of dietary fiber for a total. Virtually all of these 15 grams are lost in the production of juice. These 15 grams of lost fiber, if added back into the juice, would fully double the average daily fiber intake. The answer depends on what food it replaces and how it is consumed. Juice that has been robbed of its fiber and broad range of nutrients is basically just source of sugar that lacks the supportive nutrients to help it digest and metabolize. 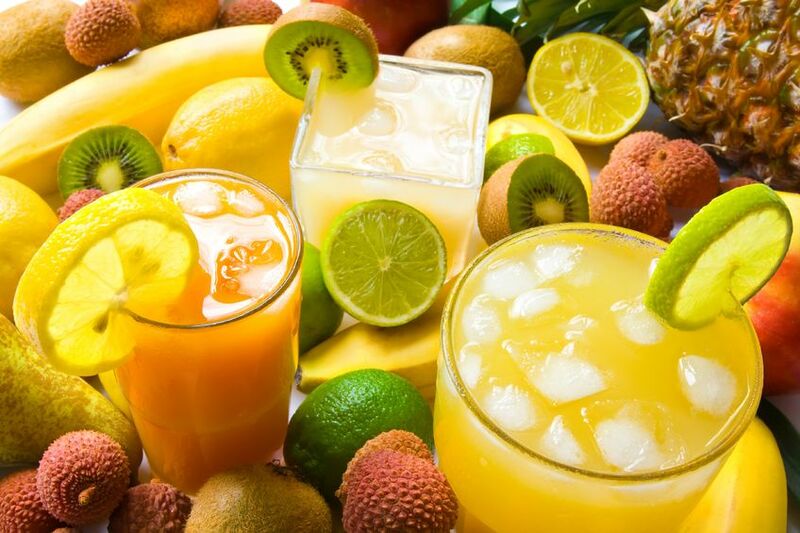 Fruit juice increases blood sugar more quickly than whole fruit and the level of sugar that can be obtained from juice is higher than the level found in fruit. 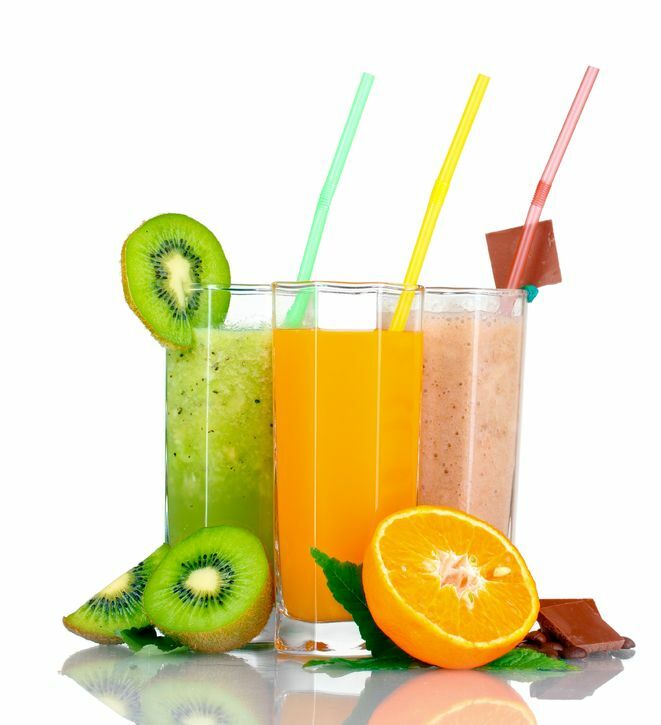 Additionally, many fruit juices that are sold contain only a small percentage of real juice and contain added sweeteners. As a result, it is easy to consume a large amount of calories without getting any actual nutrition when you drink these beverages. Be sure you read labels carefully. If fruit juice is the only possible choice for replacing soda, experts are all in favor of fruit juice vs. soda. If fruits are juiced together with veggies, the pulp is retained and juicing allows increasing intake of veggie substantially. However, in most cases, the switch from whole fruit to fruit juice can only be made at the expense of full health and nourishment.